When you are looking for a veterinary care clinic you should be able to count on superior care and excellent service. We at Helena Veterinary Service have assembled an expert team of veterinary professionals to bring you the best possible healthcare for your pet. We have a state of the art veterinary facility which is clean, comfortable, and efficient. Call (406) 442-6450 to schedule an appointment and we will find a time that is convenient for you. What will my pet's physical exam be like? Once a year, your pet should get a thorough check-up. These exams and preventative care help identify any health issues your pet may have and treat them in a timely matter. At Helena Veterinary Service, all wellness appointments include a full physical exam. This entails looking at your pet's eyes, ears, nose and mouth, listening to its heart and lungs, abdominal palpation and examining your pet's joints. In addition, we will examine the hair and skin for external parasites and any lumps that should be of concern. We may also do blood work to ensure a complete medical exam. All tests, vaccinations and other recommendations are based on your pet's medical history, its environmental risks and age. In some circumstances, our veterinarians will refer you to a specialist who has advanced expertise in areas such as internal medicine or surgery. If this occurs, we will help you set up the appointment with a specialist, make sure that records are sent and will see your pet for any follow-up appointments the specialist requests. Animals age at an accelerated rate compared to their human friends, so for geriatric animals exams should be every six months (that's the equivalent of an exam every 3-4 years for us) as things can change very quickly. In addition to a physical exam, we recommend doing a complete blood count, serum chemistry and urinalysis for a complete picture of your pet's health. We may recommend other tests given your pet's medical history and physical exam findings. Watch your geriatric pet for any changes in behavior, ability to move around, appearance or eating, drinking and bathroom habits. These changes could include difficulty getting up, sleeping more, drinking more water or eating less. Let us know about any of these changes, as these will help us detect health problems early. What should I bring to my pet's appointment? Bring in any records documenting prior veterinary treatments not done here, vaccination records and current medications or supplements. For new clients, we will have you fill out a brief New Client Form. It's best to keep a journal of your pet's health throughout his or her life, including behavioral shifts. This type of information is extremely important to help your veterinarian. If you have something like this, share it with our team. If not, let us know everything that you think will be important. Our veterinarians can still work with whatever information you have! If your pet is being brought in for surgery, please make sure you do not allow it to have food for 12 hours prior, but please continue to give water. We generally will have you drop off your pet in the morning, at which time we will perform a physical examination and make sure they are healthy for surgery. 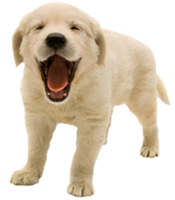 At Helena Veterinary Service we will be in touch with you throughout the day and let you know how your pet is doing.